When I come across an interesting article or a website that I would like to visit again I bookmark it in my browser. Sometimes I save the page locally on my computer to read them later. I used to do that a lot some years ago. At one point I was saving so many pages that I quickly lost track of which pages I had read and which I hadn’t. Sometimes I couldn't figure out why I had saved a particular page. Worse, I was saving them all over my hard drive. Some were on my desktop, others went into the Documents folder and many others got lost somewhere on my hard drive. If you are dealing with a similar problem I have a good solution for you, provided you use Firefox. The solution is an add-on called Scrapbook. Rather than saving the entire page, you can save only parts of the page. Simply select the text and images you wish to save, right-click on the selection and choose “Save Selection” or “Save Selection As”. This will save the selected region as an HTML page complete with hyperlinks, images and the original style and colors of the page intact. Once you have saved a page and then open it, a toolbar opens at the bottom that lets you edit what you have saved. You can highlight a selection, remove scripts and iframes, and remove any DOM elements from the page. There is also a search box that lets you quickly sift through the page. This toolbar can also be viewed by clicking on the Scrapbook icon in the Add-on bar. You can get to your Scrapbook from the Scrapbook menu that appears next to the Bookmarks menu. Saved pages appear the same way as your bookmarks does. Scrapbooks are visible in the sidebar too, where it can be made to appear in a tree structure. You will find lots of different ways to manage your collection from the Tools menu in the sidebar. You can move saved pages to different folders, combine several folders into one, export your scrapbook and import it on another computer etc. 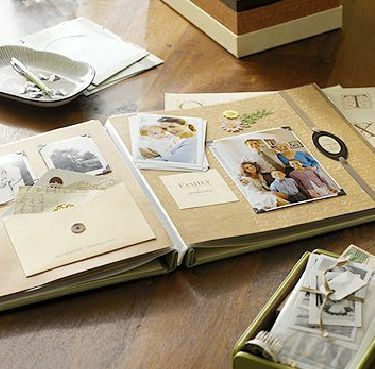 And that is only just some of the capabilities of Scrapbook. It can do so much more that there is actually a51-page PDF manual to help you get acquaint with the extension’s numerous features.